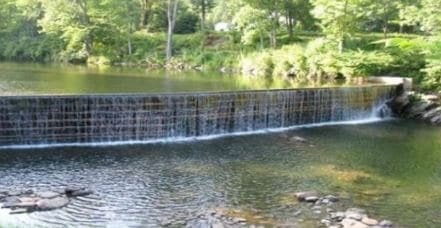 A cofferdam is a temporary structure designed and constructed to support ground and keep groundwater or water above ground level away from an excavation. 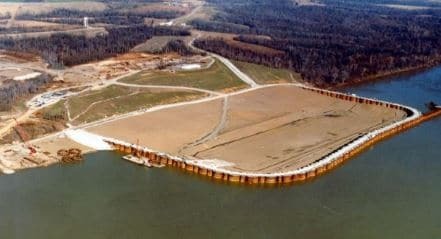 By and large, a cofferdam does not exclude water out of excavation completely since the construction of such type of cofferdam would be highly expensive. Some seepage of water into the excavation is usually well-tolerated and pumped out periodically. 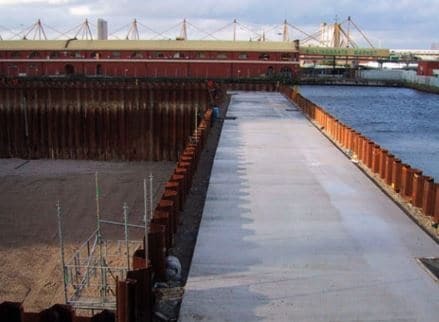 There are several types of cofferdams including earth embankment, rockfill embankment, sandbag embankment, single and double wall timber sheet pile, precast concrete blockwork, precast concrete frame unit, cellular sheet steel piling, bored cast-in-place piling, rock or earth fill timber cribs, flexible sheeting on timber or steel framing, and movable cofferdam. Different site conditions require different kinds of cofferdams. 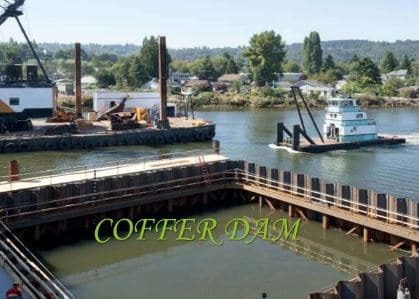 The factors that govern the choice of a cofferdam for a certain construction site are the water table of that area, type of soil, size and depth of excavation, construction material availability, ease of transportation, water flow velocity, and risk of damage by floating debris. The presence of certain factors at the construction site leads to the choice of a specific type of cofferdam, for example, earth fill cofferdam is suitable for an area with low water head whereas single-wall sheet pile cofferdam is applicable for restricted site areas where ground anchor or cross bracing can be used. It is suitable for low head of water, and can be employed on sites exposed to flowing water if surface protection is provided. This type of cofferdam is applicable for restricted site areas where ground anchor or cross bracing can be used. It is not suitable for areas containing high quantity of boulders. They are suitable for wide excavations where self-supporting dams are needed. These are commonly constructed in a remote site in undeveloped areas where timber in bamboo or log form are available, and import and transfer of sheet pile and necessary plant to handle and drive it is astronomically high. It is used in the areas where timber is readily available and is suitable for low head water.